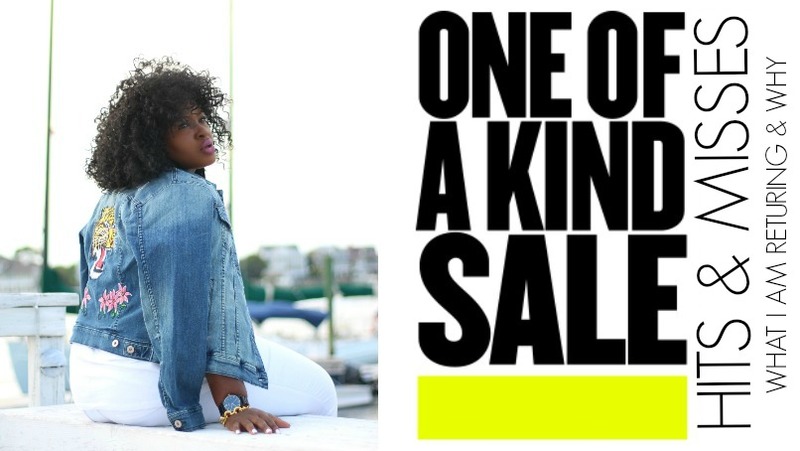 In today’s post I’m going to be sharing my hits, and misses from the Nordstrom Anniversary Sale. Today is the first official day of public access EVERYONE can shop the sale now!! My next fav from the sale would be the High Waist Seamed Leggings by LYSSÉ. I realized during the Try on that I actually owned a pair of Lysse leggings. It was gifted to me a couple of years ago during Curvy-con and it has held up remarkably. They are definitely worth it. I also picked up the Zella leggings and honestly I love it just as much as the Lysse for different reasons. by MARC FISHER. I know for a fact that these boots will pay for themselves 100 times over because they can literally be worn with everything. They’re a pull on style and are made up of a very comfortable soft leather that will mold to your feet over time. ED ELLEN DEGENERES. When I first put my feet in them they seemed to run a little narrow after wearing them with diffrent outfits during the try on they seem to loosen up. They are made up of a wool like fabric. Their gray color makes them very versatile and they paired well with the Madewell tote . Honestly every shoe I got exceeded my expectation except for this One, and it wasn’t because of any problem with the shoe BTW it was because I had a harder time than I thought to styling it. So I picked up 3 jackets and If I had to pick one it would be the Sejour Leather Moto Jacket in OLIVE (peoples choice), I got it in a 16W. The leather is soft, supple 😉 and not bulky it also has ribbed panels under neath the arm and sides which ensure a custom fit. The only con really is its price point, If you’re ready to splurge it’s definitely worth it. My first miss would be the Caslon Mixed Knit Moto Sweater it’s meant to be a hybrid however it just didn’t work the sweater material didn’t hold its shape and to my surprise the XXL was big. Also the gray ends up looking like a towel. It’s one of those pieces where the concept sounds great but the execution. Cocoa/ Peatl Heather. Now barefoot dreams has a cult following on social media and I may get canceled for this; however, my issue with the cardigan was not its Insanely incredible softness. Because it definitely feels like you are wearing clouds, but rather the color and style. The fabric of the Cardigan was too soft for its intended style so it draped awkwardly. In addition, the color was a grayish brown which didn’t go well with any of my warm toned browns. But honestly guys the insane softness of this Cardigan can literally make you forget all that. The HYPE is real!! If I had to pick one top it would be the Plaid top from BP because it fit around my Hips well, it was kinda slouchy and long enough to be worn as a tunic or tucked in. Finally, I also thought you should know that none of my tops were from the Plus Size section (which tends to be pricier). If you are in between a 16 and 18 you aren’t completely restricted to Plus. So explore a little. I only picked up 2 items from this section. I wanted a two toned Watch I picked up this one (under $100) love the shape and its woven band, it’s versatile so it will be easy to mix and match. Finally, I also picked up this Madewell tote its all leather superrrrrr versatile. As you can see from the video. The gray stripe going across just adds a very now/ sporty /edgy element and I am here for it. It has the makings of a piece that will wear well over time. These are my favorite things from the haul, I realized that I didn’t stock up on my cardigans so I’ll definately be on the look out for those. 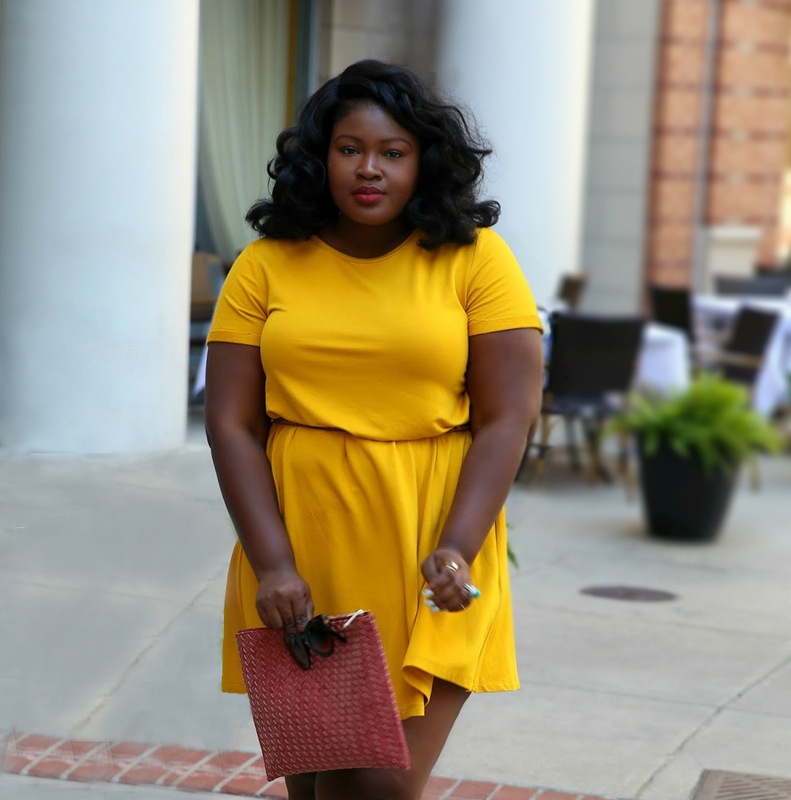 Whats next in the Nordstrom Anniversary Sale series Dresses, premium plus size Denim, boys (big and small lol) and Accessories. I am considering doing a post on gift ideas ( for my early shoppers), beauty, higher end picks and Home but only if you guys are interested. Are you loving all these posts about the Nordstrom Sale, sign up for our Newsletter for exclusive content and upcoming happenings also follow this blog on Bloglovin so you never miss a post.